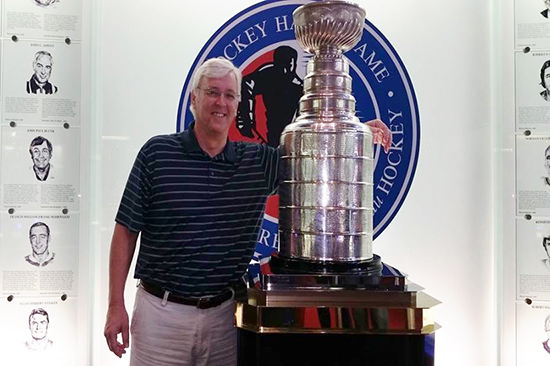 An Amazing Trip to the Hockey Hall-of-Fame, the NHLPA Rookie Showcase and More! As a long-time fan of Upper Deck products, I have come to know personally what it means to be “close to the game”. For decades Upper Deck has delivered the ultimate card-collecting experience, and as a Diamond Club member, they have also brought me face-to-face with the likes of LeBron James, Drew Brees, Tony Romo, and Wayne Gretzky. 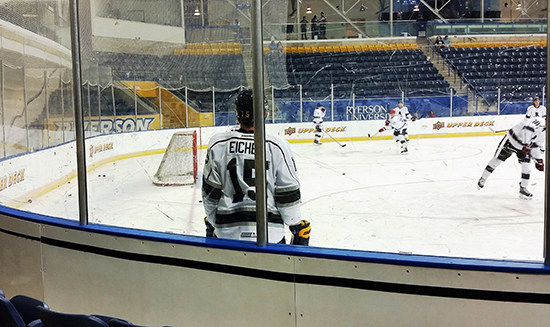 When Upper Deck invited me and a guest to the 2015 NHLPA Rookie Showcase I jumped at the chance. I called a long-time friend Bob and told him he needed to clear his calendar. Once we got the okay from the wives, we started planning. The plan was to fly in Sunday and stay downtown, within walking distance to the venues we planned to visit. Monday would be the Hockey Hall-Of-Fame. 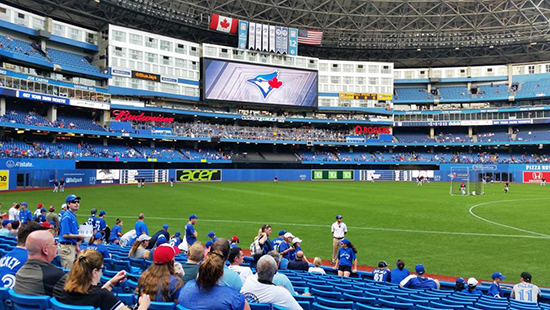 Monday Night, Toronto Blue Jays versus the Cleveland Indians. Tuesday would be the Upper Deck Rookie Showcase; Tuesday night a nice steak dinner. Wednesday was left pretty open; figured my friend Bob might have some ideas on how he would like to spend a day. Well as it turns out, Bob has close ties to an executive in the Wayne Gretzky camp. 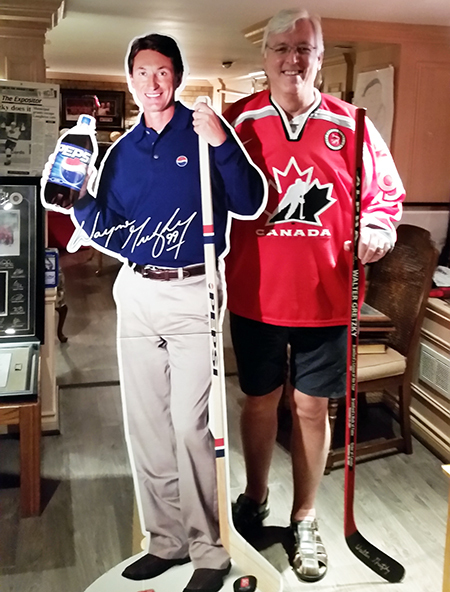 She asked both Bob and I if we would like to drive out to Walter Gretzky’s house, see his “trophy” basement, and take him out to lunch. Sounded like a solid way to spend the afternoon. Monday went off as expected. The Hockey Hall-of-Fame never fails to deliver. Other than the display showcasing my Champion Los Angeles Kings being taken down to honor the “new” Champions, the place was just as I remembered it. 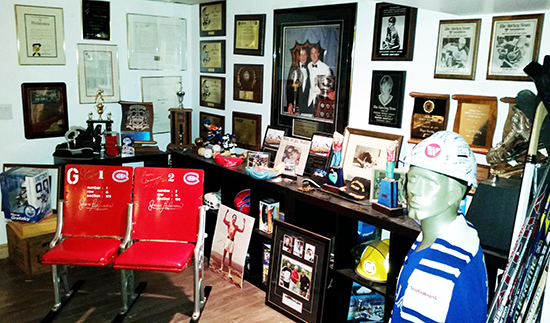 Trophies, plaques, memorabilia, equipment, medals, and a nice area dedicated to Upper Deck Trading cards can all be found in these hallowed halls. Bob and I had a great time spending hours poring over the content and cramming in as much information as we could before our heads exploded. Then straight over to an absolutely beautiful ball park, Rogers field, to watch a game while knocking back a dog, some peanuts, and a few beers. It was a beautiful and warm night, sold out game, and a nail-biter to the very end. The bottom of the ninth arrived with the Jays down by 2 runs and runners on first and second. All the drama was there for a storybook ending, but unfortunately did not come to pass. The Indians were the better team that night, but it was a very close game and that’s all you can really ask for! 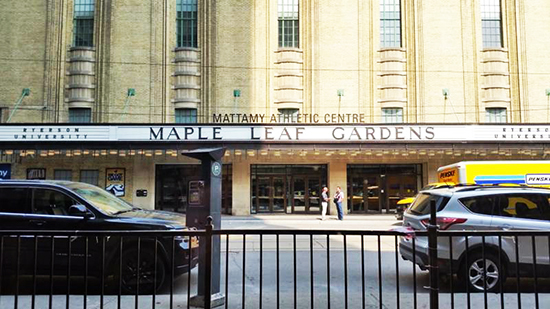 Tuesday it was off to the Mattamy Centre “Maple Leafs Gardens” to see the top NHL Rookies have a photo shoot and scrimmage. The event was spectacular! Every top rookie was in attendance and we were treated with a 35-minute exhibition of their skills. For liability reasons the staff kept us over in the corner of the arena, but it was still an amazing view from the front row! 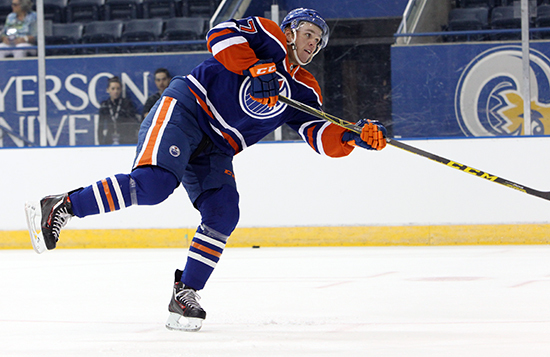 These rookies seem to look younger every year but they sure can skate! Then off to dinner at one of the many chop houses scattered about downtown Toronto for dinner with an old friend. Took a nice walk down Church Street to walk off the food and take in some of the best architectural achievements in the city. 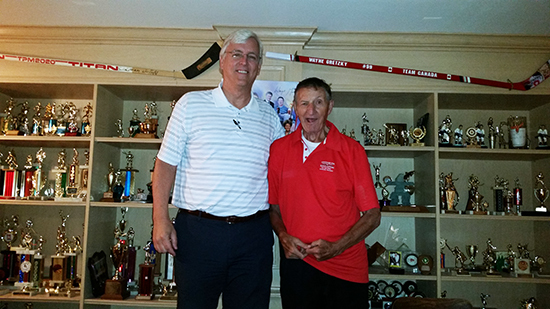 Wednesday, my good friend Bob made arrangements for us to go to Brantford to visit Walter Gretzky’s home and take him to lunch. I’ve met Walter a few times and he is one of the nicest people you’d ever want to meet. He is kind, humble, sensitive, and has a genuinely kind soul. Walter invited Bob and I into his home, sat us in his living room, and just talked to us for 10 minutes just to get better acquainted. Then he took us down to his basement where he, as a father, built a trophy case where he kept every trophy Wayne had ever won as a kid. La Crosse, Soccer, Hockey, Baseball, you name it. 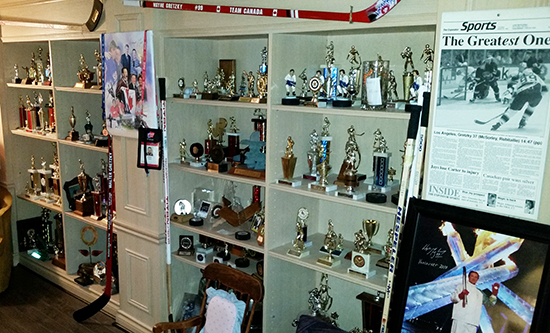 Every childhood award is still in the Gretzky basement. But over time, that kid’s trophy case started to fill with Oilers, Kings, Blues, Rangers, Team Canada, and NHL All-Star awards of every kind. Additionally, there were game-worn jerseys, sticks, and pucks everywhere. Only they were not just there for viewing. Walter INSISTED you put them on and take pictures with your favorites. His only rule is that you stood where he wanted you to stand, posed with what he wanted you to pose with, and DON’T CUT OUT THE LEGS! Yes, Walter is a director at heart. 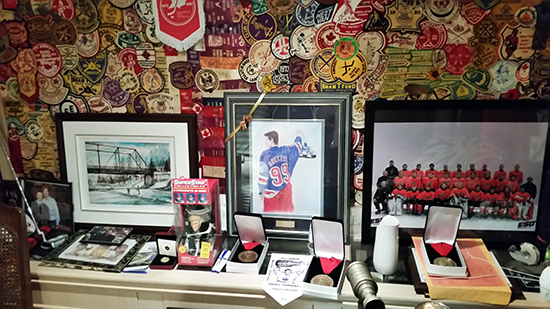 While most of the record-breaking jerseys, sticks, and pucks are on loan to the Hockey Hall of Fame and like venues, Wayne’s roots remain in the family home with his dad. Those jerseys are all gamers – Team Canada, LA Kings, and an Eastern Conference jersey with the Rangers. 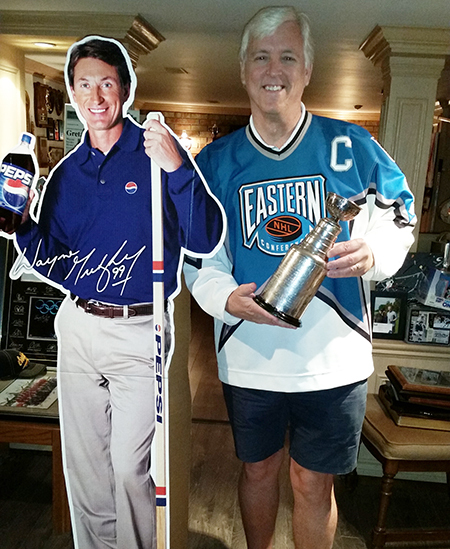 Walter pulled out a life-size Pepsi cut-out of Wayne and insisted we pose with him! Once we had our fill of jerseys, we offered to take Walter out to lunch. 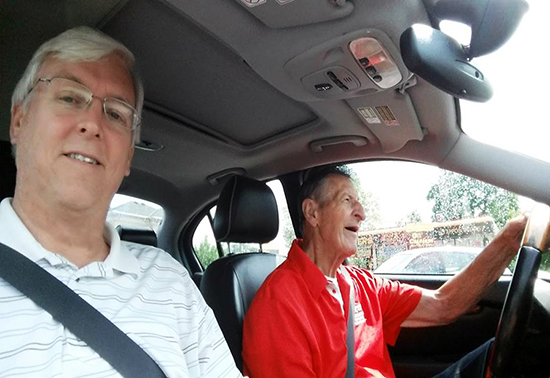 We stepped outside and headed towards the rental car, but Walter would have NO part of that, HE was driving, and boy did he! 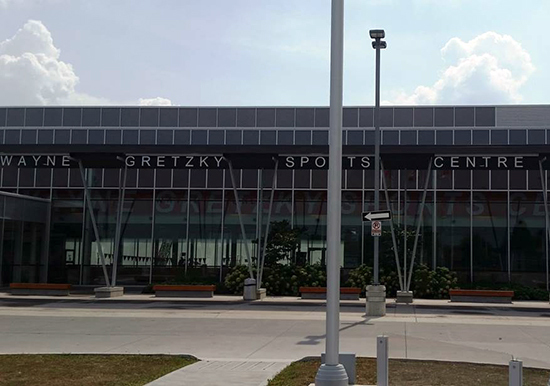 We went to the Bell Homestead (home of the first phone call), over to the new Gretzky Sports Centre, on to the church where he got married, to the farm home he grew up on, to his elementary school, his high school, the fairgrounds where he met his bride, and to the lake where he fished as a young lad. A trip down memory lane for him, but a history lesson in life for the upbringing of truly the nicest man I know. Then back to his home. We did about another half hour in his basement, under the art direction of Lord Walter (yes, he is a Lord) and then about 30 more minutes in his den. We talked about family, kids, life, and religion. He is a very spiritual man and has a strong relationship with God. He attends church every Sunday morning, and takes a blind neighbor child with him. He is a real salt of the earth man and a true gentleman. 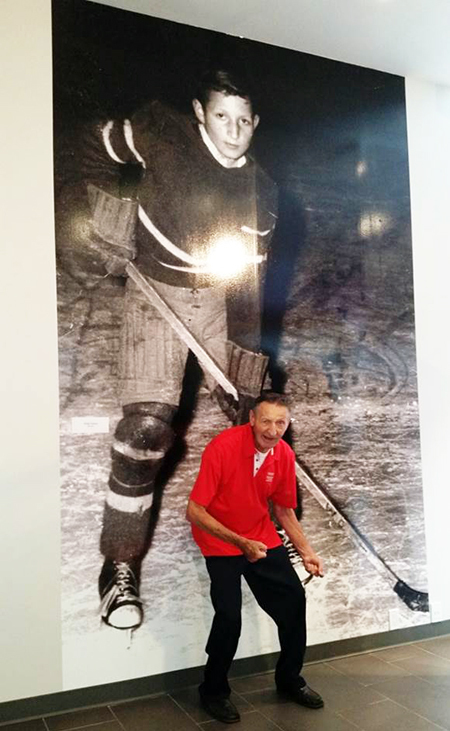 Walter posing with a picture inside the Gretzky Centre, re-creating his childhood tough-guy stance! 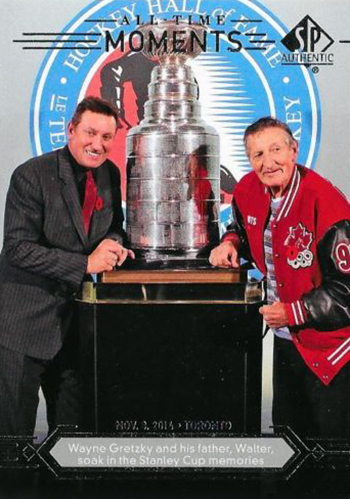 This is actually my favorite picture of the afternoon as I feel it real captures the heart of Walter Gretzky. It was time to start saying our goodbyes to Walter. But before he would allow us to leave he wanted my son (who is currently recuperating from major knee surgery) to have a “get well” message from him and Wayne. Walter pulled out an autographed photo of Wayne and personalized to my son and wished him to get well soon. He also personalized autographs to Bob and I that we will treasure forever. Bob and I headed back to Toronto airport in complete disbelief of what just took place. After watching CNN, CNBC, ABC News, Fox News, MSNBC and so on, it’s not hard to lose sight of the “big picture.” Our day with Walt truly brought life back into perspective and reignited my faith in humanity. Knowing there are people like Walter on this planet, I rest assured we live on the best planet in the universe. I would like to thank Upper Deck for making this all possible. Their commitment to keeping collectors close to their favorite sports is what brought me to Toronto. I would also like to thank J.G. 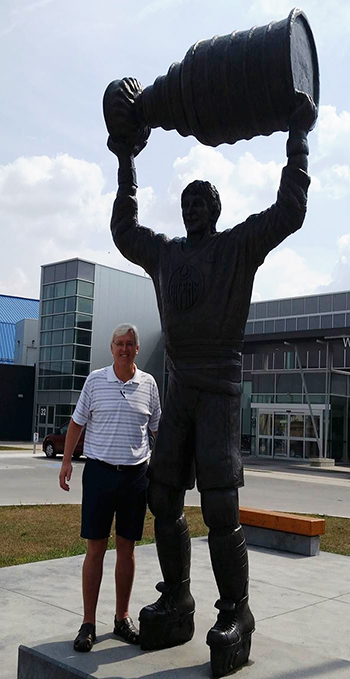 from the Gretzky staff for arranging my afternoon with Walter and ensuring he would be back from his morning breakfast on time to meet with us. And thank you Bob letting me tag along with you; and for you tagging along with me!